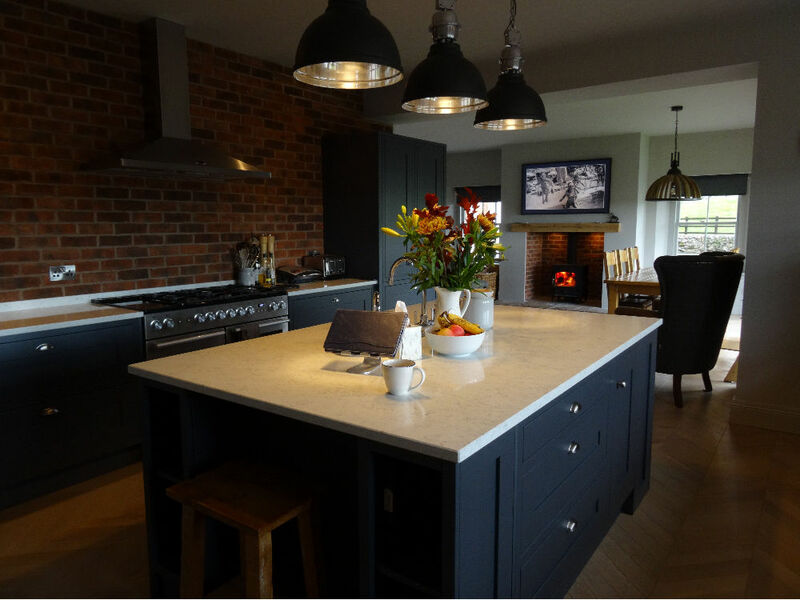 Here is a selection of some of our testimonials. 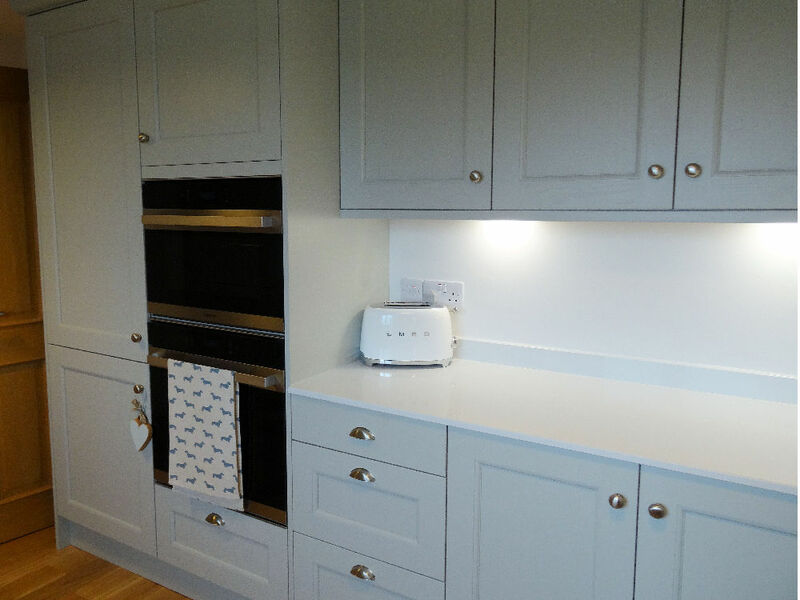 You can see more along with images of our recently fitted kitchens on our Facebook page too. 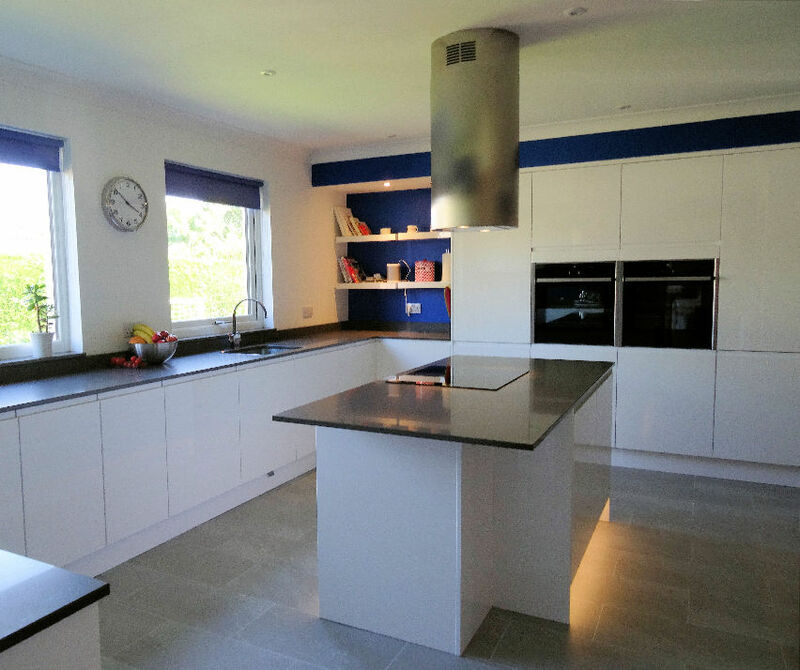 Having recently had my new kitchen designed and installed by Hi-Line Kitchens I am totally thrilled with the result. 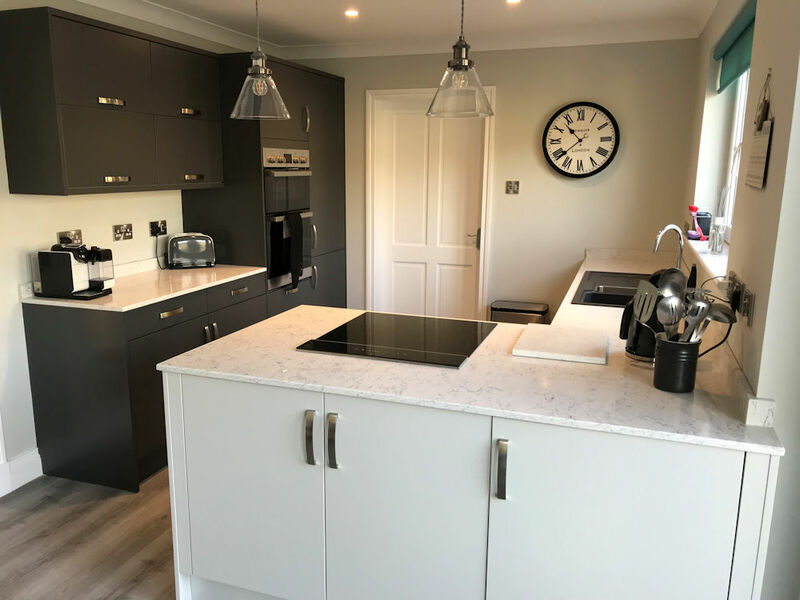 I have had previous experience of working with Craig and Paula on the Ottersburn Development Crocketford where they have designed and installed 10 kitchens all to a very high standard, so I had no hesitation in using them for my own kitchen. 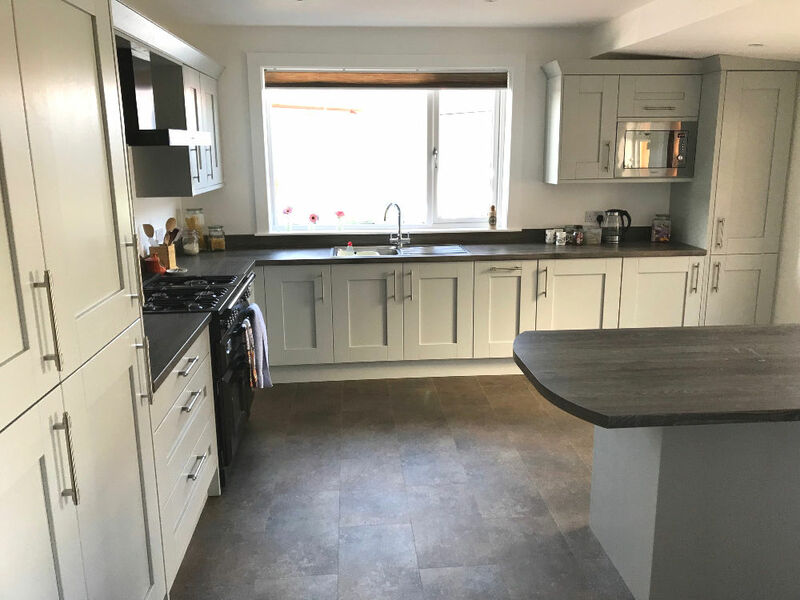 Craig is a perfectionist, so I already knew first hand I was going to get a kitchen designed and fitted to the highest standard. 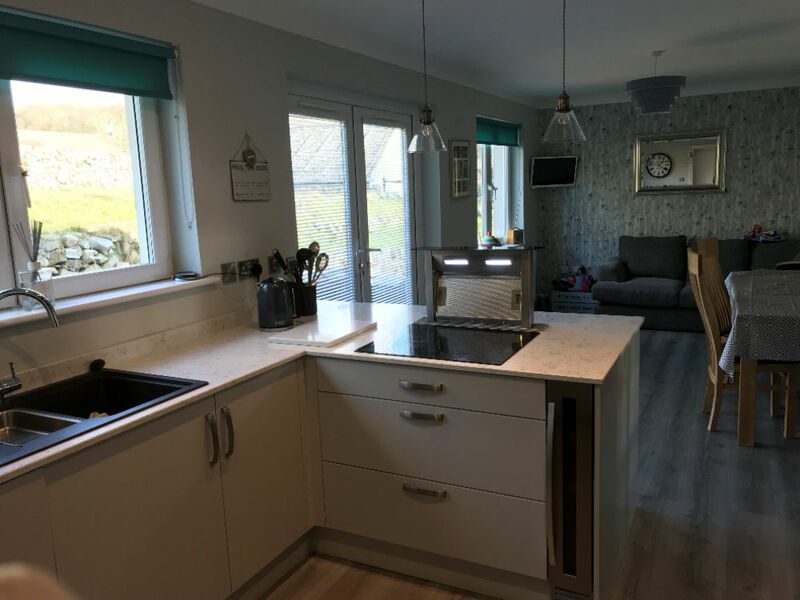 Paula helped me narrow down the style and colour choices and gave helpful advice on the appliances, sink and tap, taking into consideration my budget. 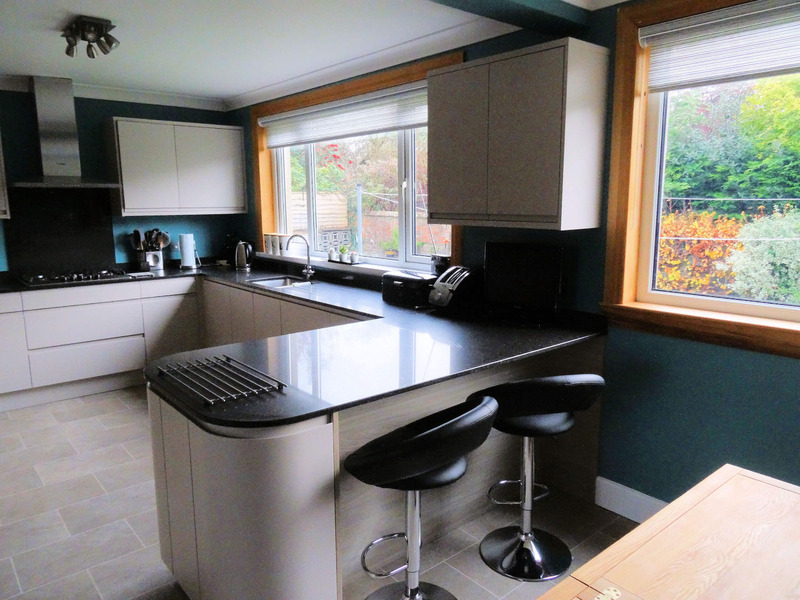 They were both professional throughout and the kitchen fit itself was completed promptly with minimal disruption to me. 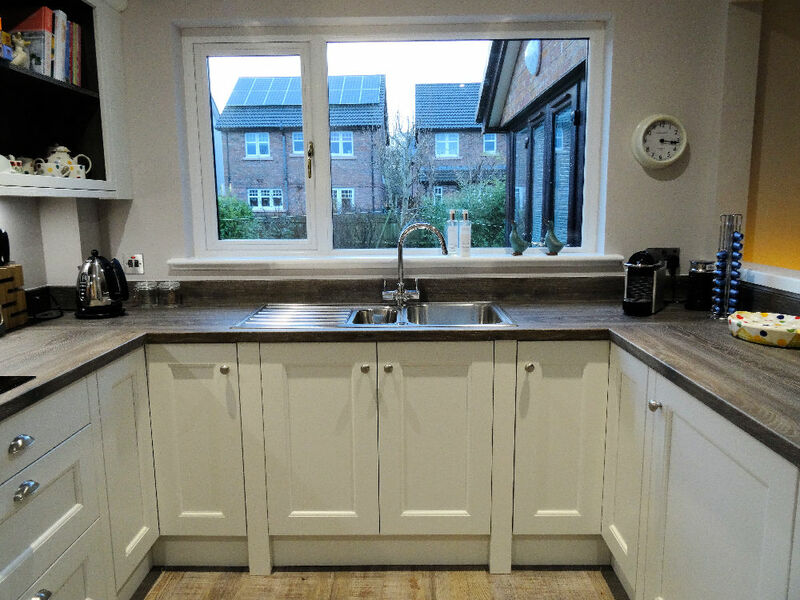 Craig organised his team of other trades required and they all worked seamlessly together to ensure that the kitchen fit was completed promptly. 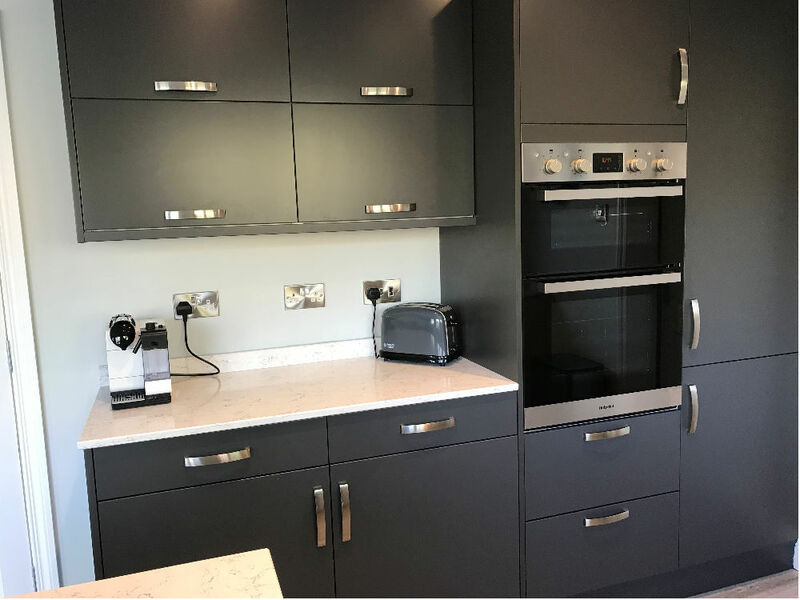 They already have a fantastic reputation and I would not hesitate to recommend them to anyone looking for a professionally designed and fitted kitchen. Thank you so much to you and Craig for all of your amazing work. I couldn’t be happier with my kitchen and boot room. 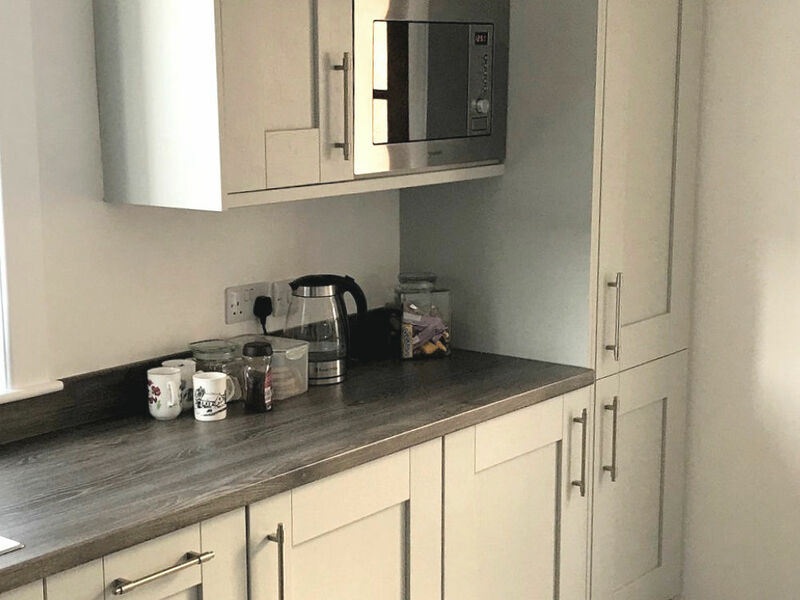 We're absolutely delighted with our new kitchen. Makes such a difference having the rooms opened up into one larger space. 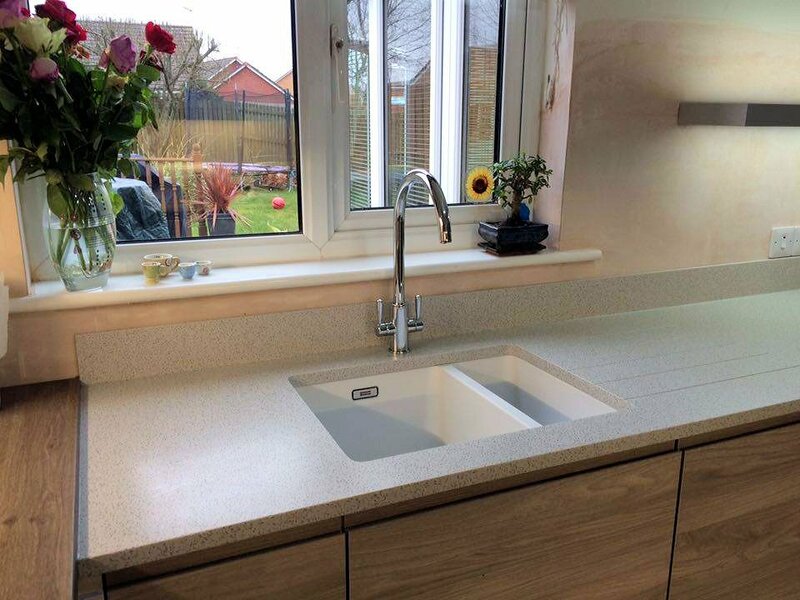 The units and worktops are fantastic quality and Craig has done a brilliant job fitting them. 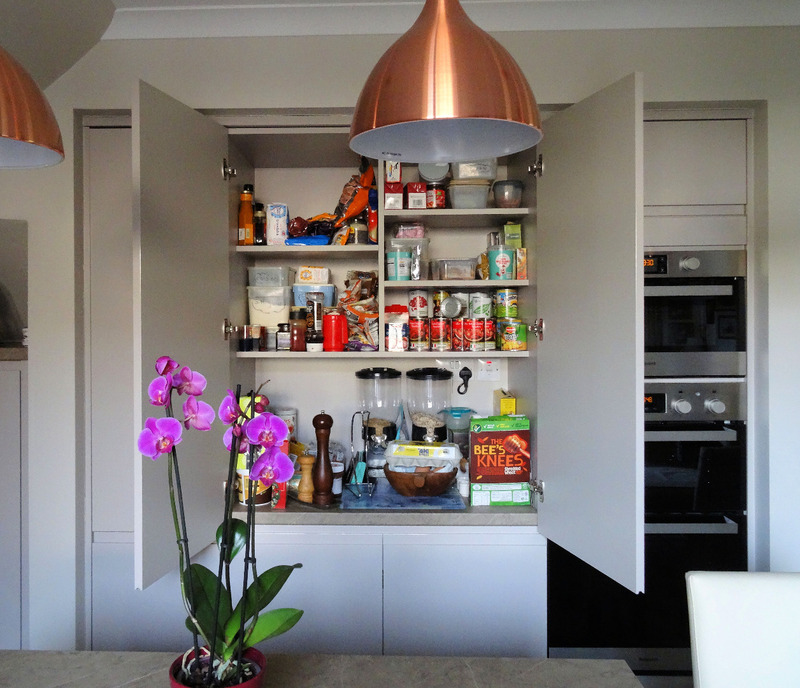 Would highly recommend Hi-Line to anyone who is getting a new kitchen. Thanks again Craig and Paula! 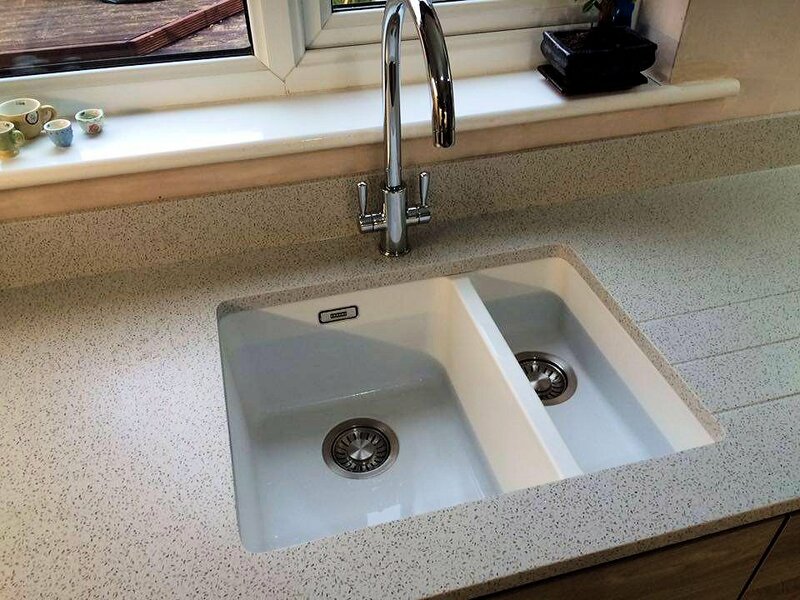 Many thanks for the new kitchen and flooring, really please with it. 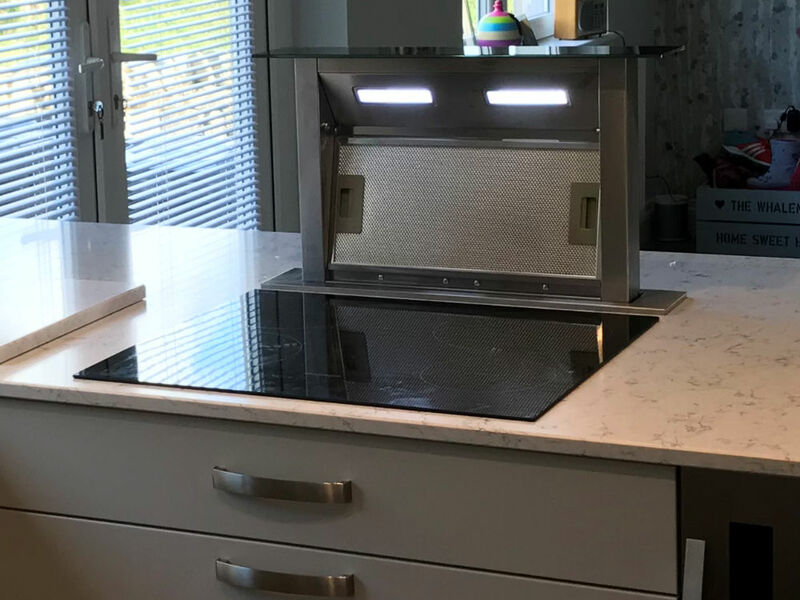 I couldn’t recommend Hi-line kitchens enough. From the planning to the final result, everything has been great. Paula’s advice on fittings, colours and general pointers was great and I always felt it was so genuine. Craig’s work is that of a perfectionist. He made bigger problems seem like small ones. He worked well with the other tradesmen on the job - who also spoke very highly of them. 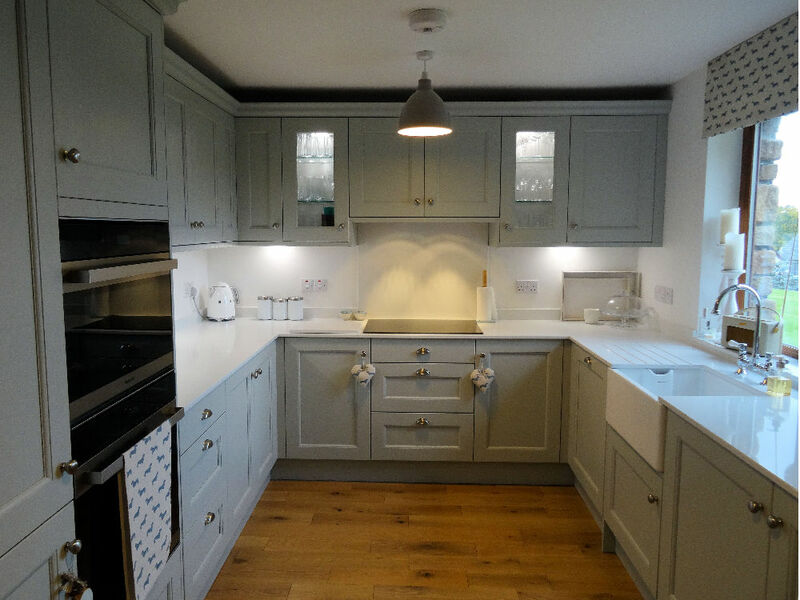 I am delighted with my kitchen and utility room and so glad I chose to go with them. 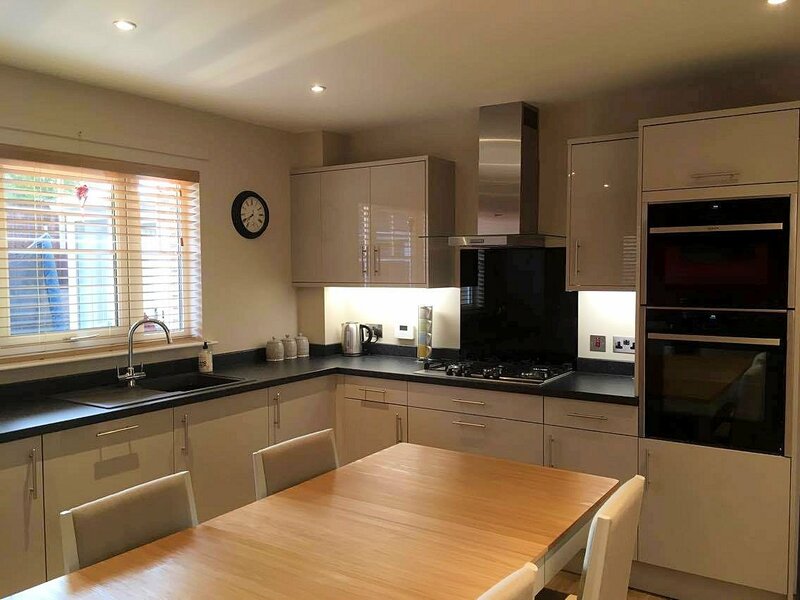 So pleased with my new kitchen, it has made such a difference. 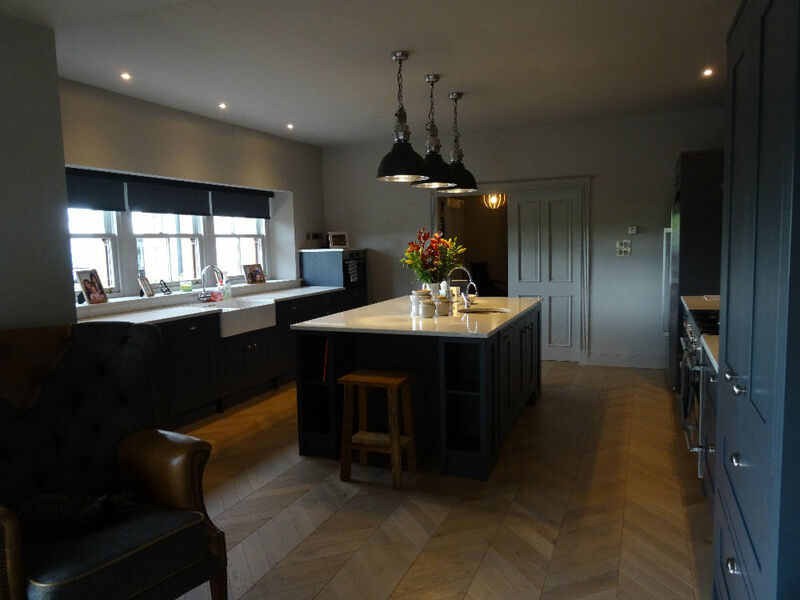 Craig and Paula - Many thanks for helping us create our beautiful new kitchen. It was a pleasure to deal with you both. Amazing service from start to finish. We would highly recommend Hi-Line. 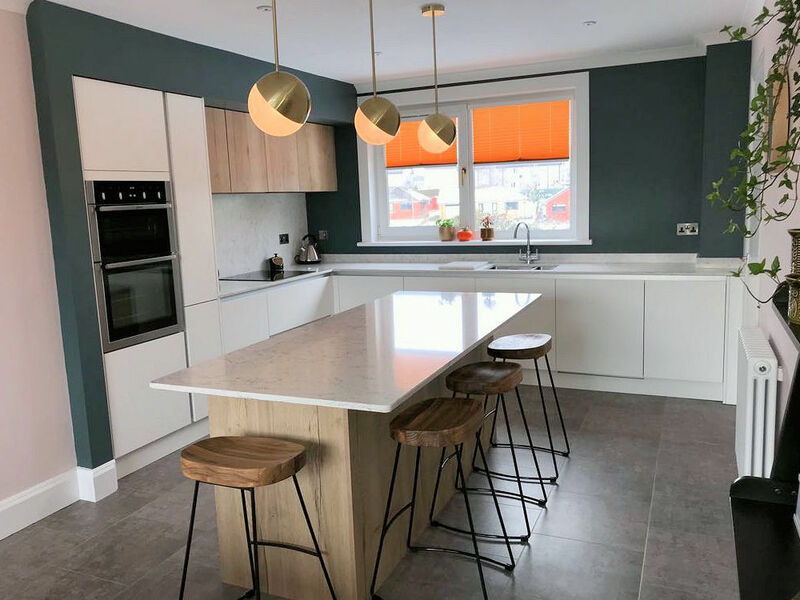 I asked Hi-Line Kitchens for a quote after seeing their advert in the Dumfries and Galloway Life magazine and reading the positive comments online. 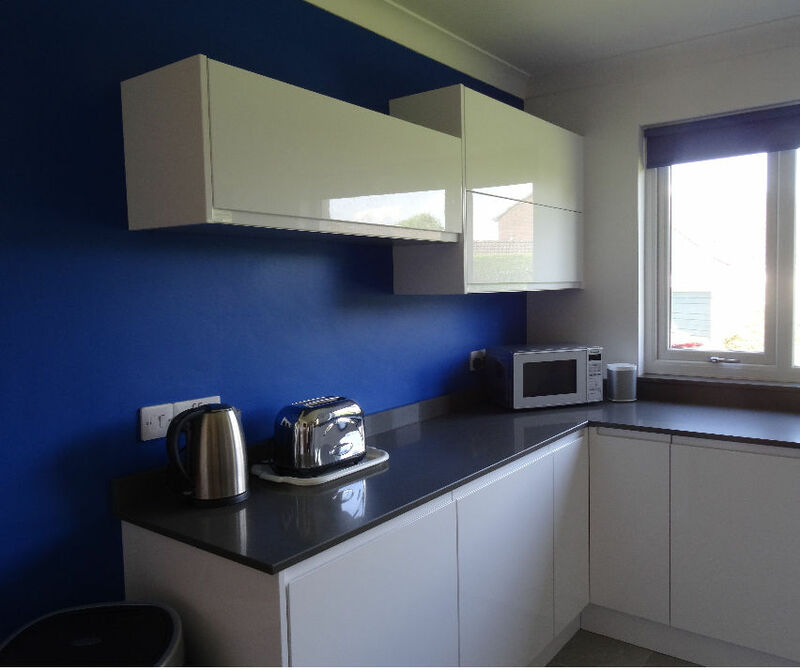 Price was important as was the quality of the units. 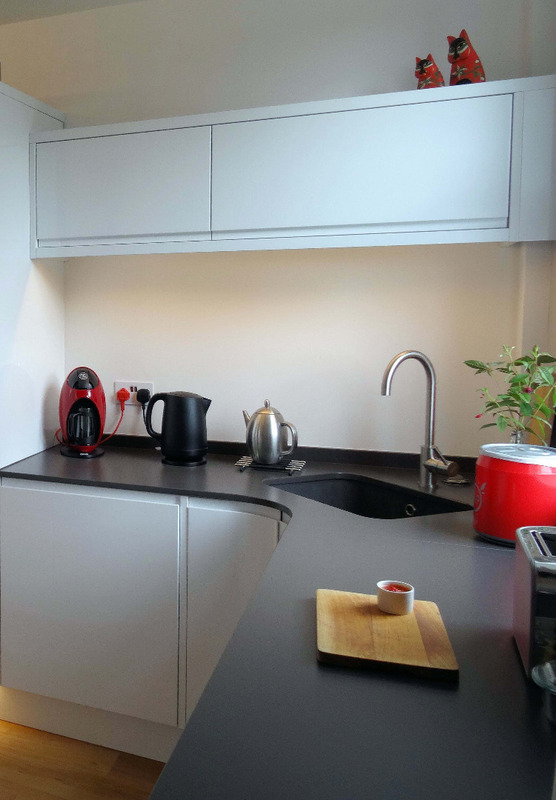 The units are solid and will give great service. I didn't even ask any other company for a quote as I found what I was looking for with Craig and Paula. I appreciated the hands on approach from both Craig and Paula who gave me sound advice without any pressure to agree with them. The quality of the product sold itself to me. Absolutely no pressure sales pitch from Craig or Paula which I appreciated. 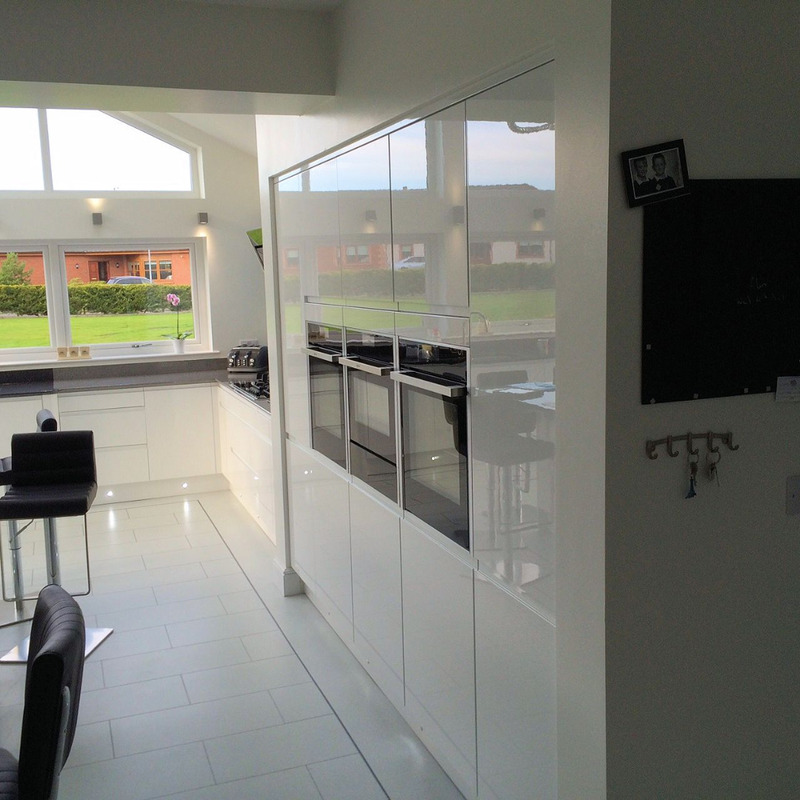 Craig organised all of the tradesmen to come according to his schedule for the job and it worked brilliantly. I always knew who was coming on each new day. Great communication from Craig and Paula. I really liked being able to take the time with Paula to pick my unit styles and colours. 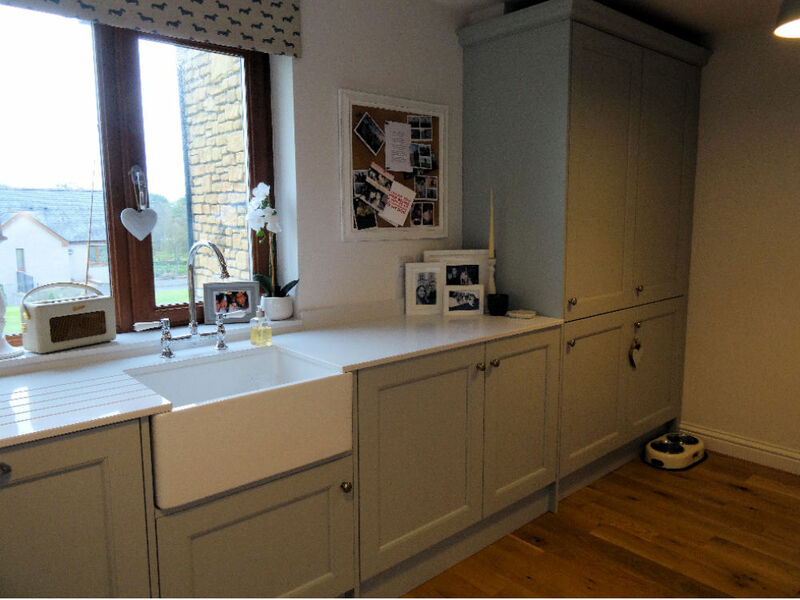 Her expertise was invaluable at helping me match a work surface for two different styles of units. Paula kept me up to speed with any developments via emails. 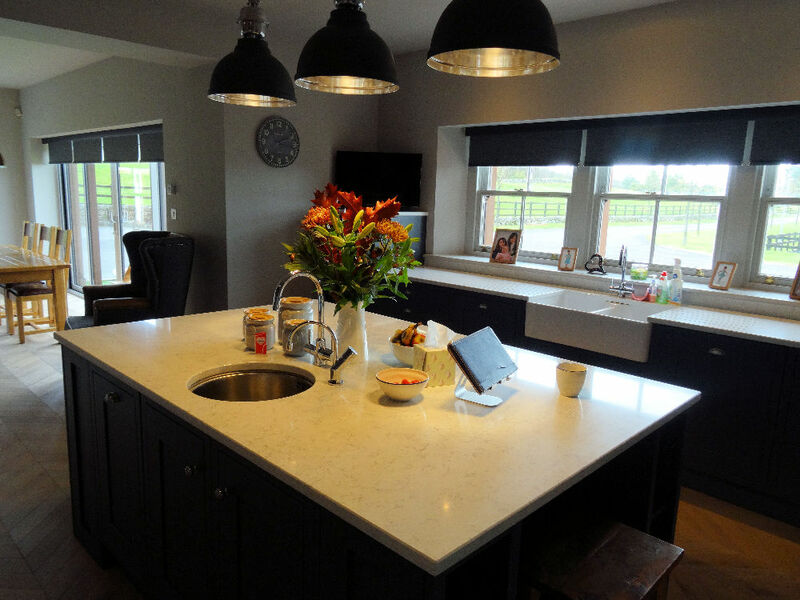 The benefits in choosing Hi-Line Kitchens were many. Working directly with Craig on an agreed date to start and finish the job. A contract from Paula outlining the costings for the whole job was a real benefit. 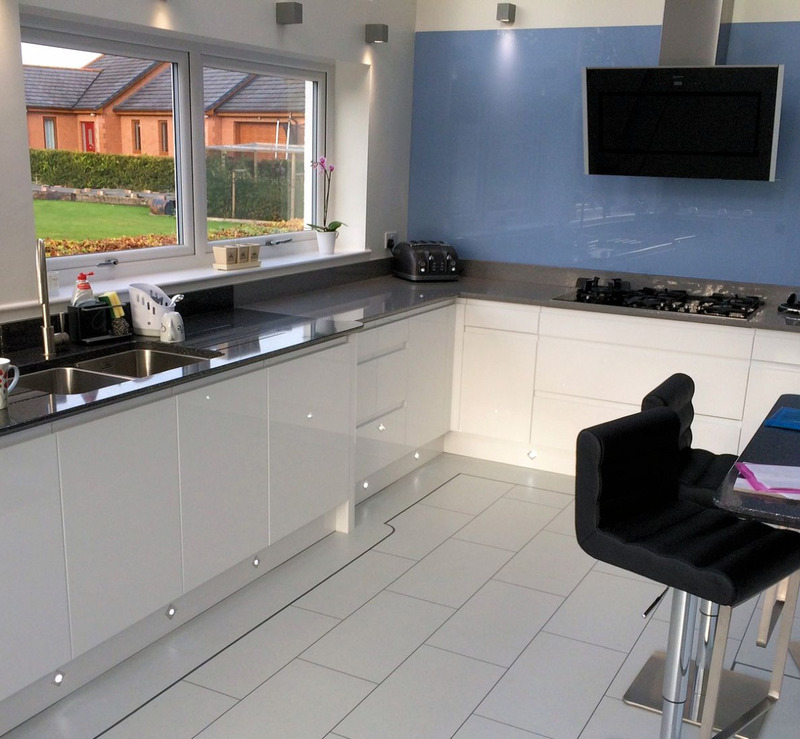 The team that worked with Craig on the job were exceptional and very professional tradesmen. Knowing that I could ask Craig any question about the installation and he could find a solution to any queries with no negative answers. Craig was a superb Project Manager and handled all the tradesmens’ timetable on the job with excellent skills. 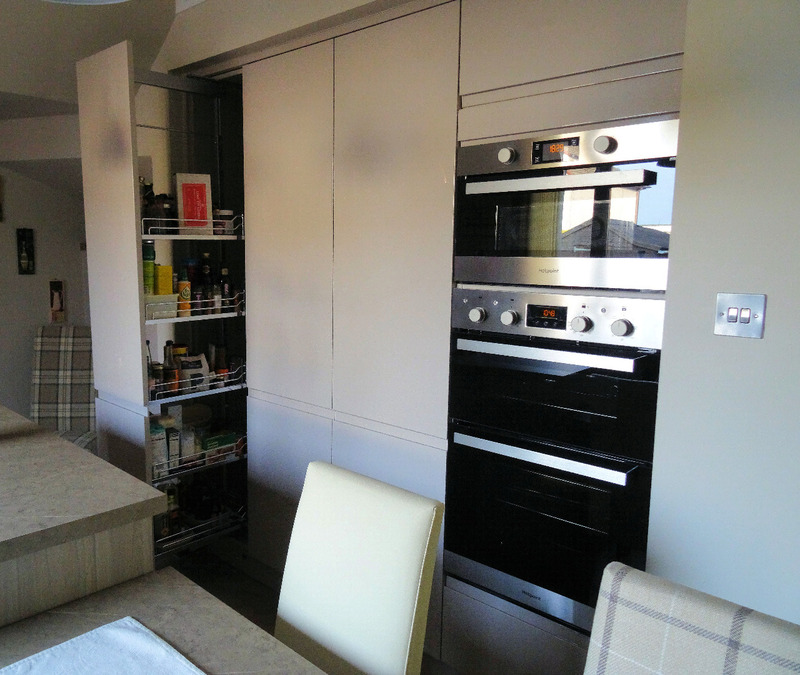 I would highly recommend Hi-Line kitchens to anyone wanting a personal service from the installer. 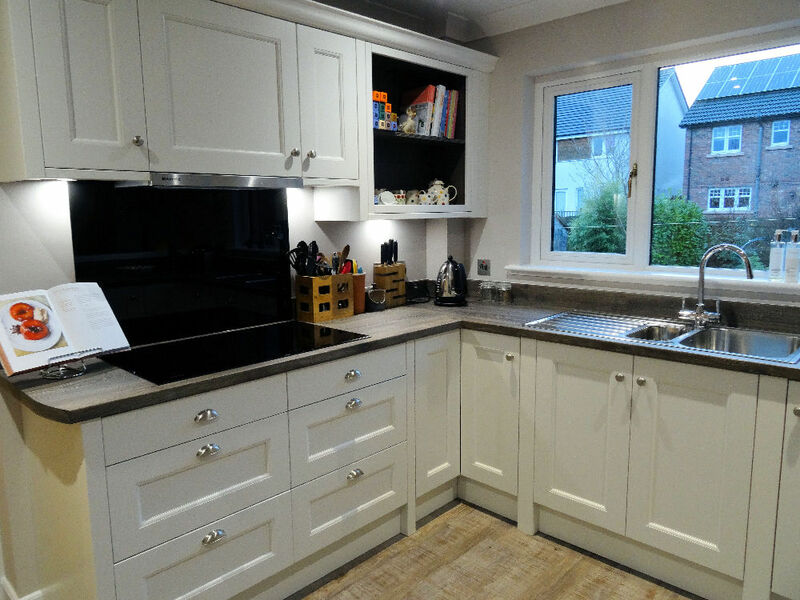 Craig and Paula work well together as a team to give complete job satisfaction to the client. The team of tradesmen the company work with - Gavin Gibson - Joiner, David Faulds - Electrician, Ross McLaughlin - Plumber, Colin McCrae - Plasterer, David Sheridan - Builder, Nathan - Plumber, Brodie - Electrician, Ian Windsor - 360 Degree Flooring, Ross Henderson - Decorator, were a pleasure to have in the house. 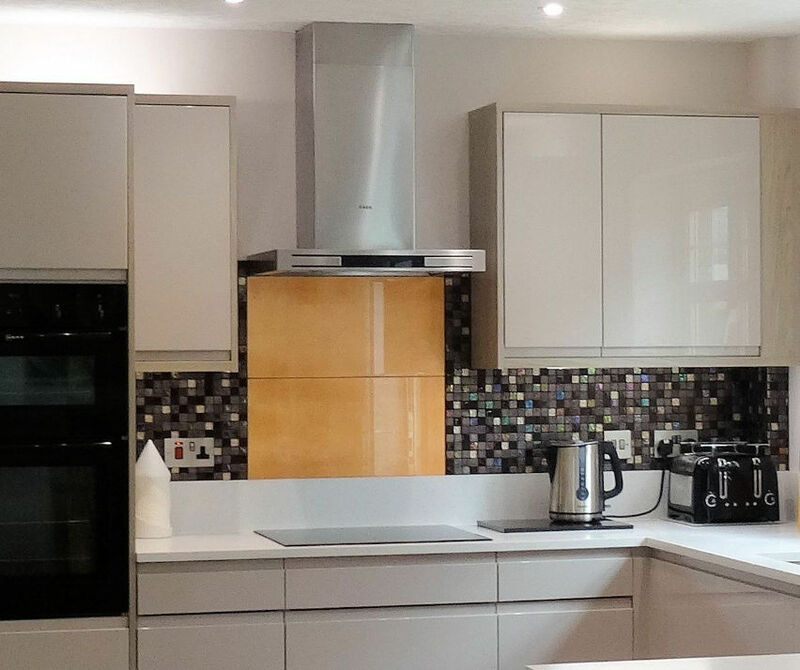 Their attention to detail on my job was excellent and they were always willing to help when I asked for a change of the agreed plans. 5***** service all the way. 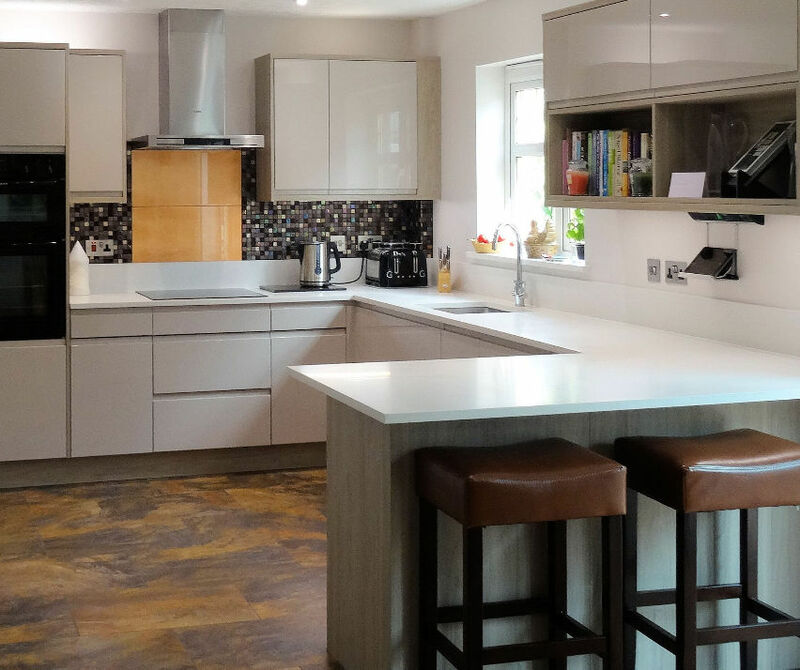 I wanted a new kitchen designed to my specifications to meet my current and future needs. 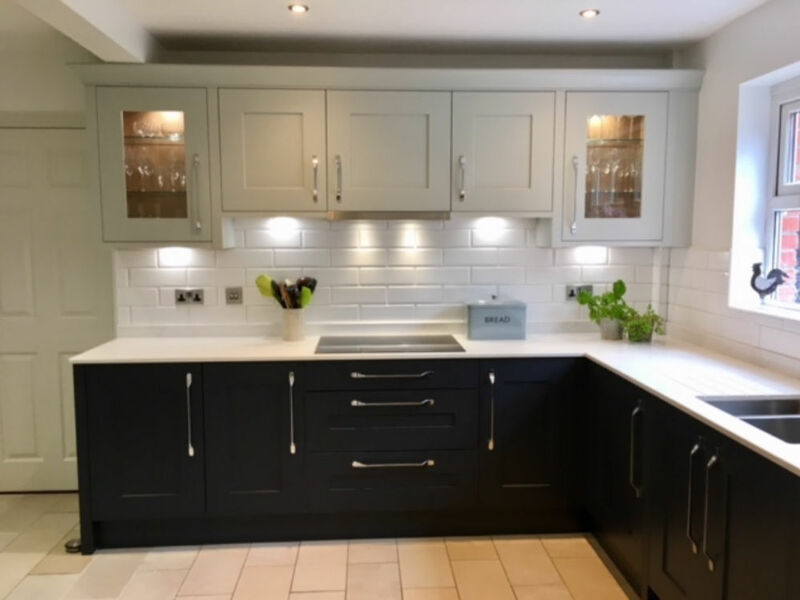 Craig and Paula and their team of tradesmen certainly came up trumps in meeting my needs and I am over the moon with the workmanship of all involved in the installation. Can't rate them all highly enough which is a pleasure. Not once did I have a niggle or a complaint about anything. 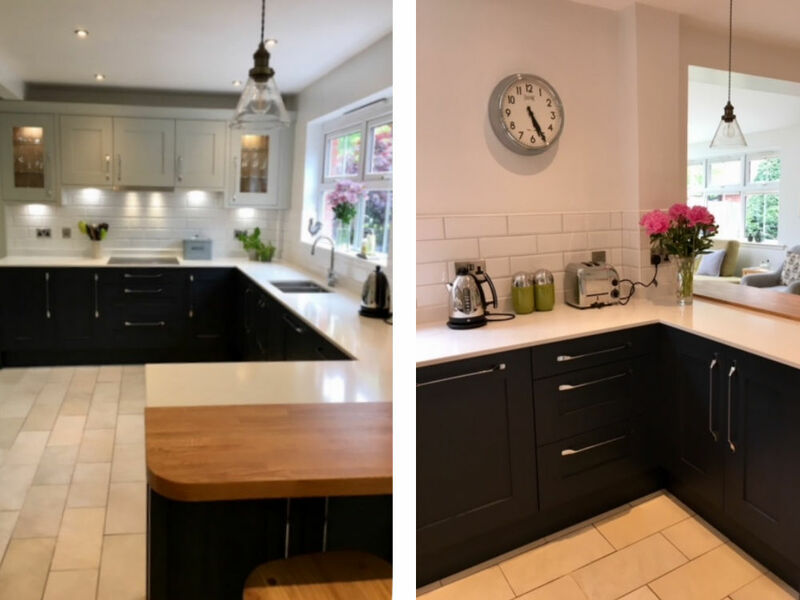 I wanted to let you know how delighted we are with the kitchen - it still feels like it's someone else's house when I come down in the morning, but the big thing is how it has changed everything for us. 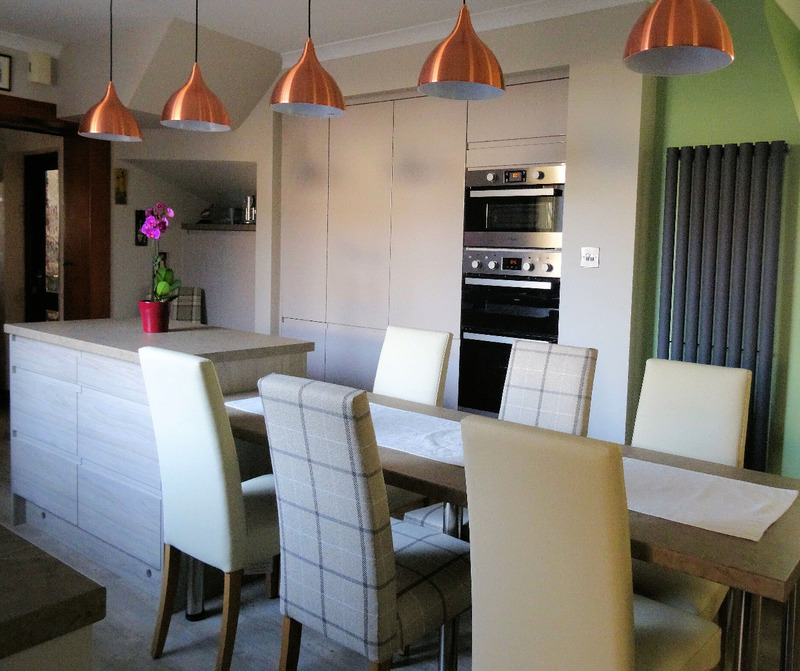 We spend so much time in here - just sitting chatting, eating (of course) and it's great when friends and family come round. 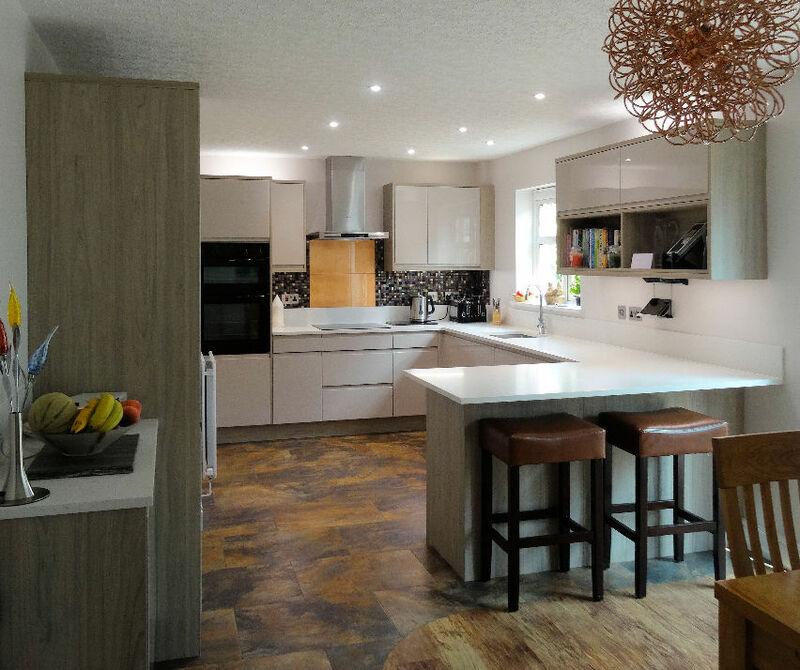 Because I had seen your work I knew you would do a great job but I was bit concerned about cost and whether I could get what I would like within our budget but it is better than I ever imagined and everyone who has seen it loves it too! 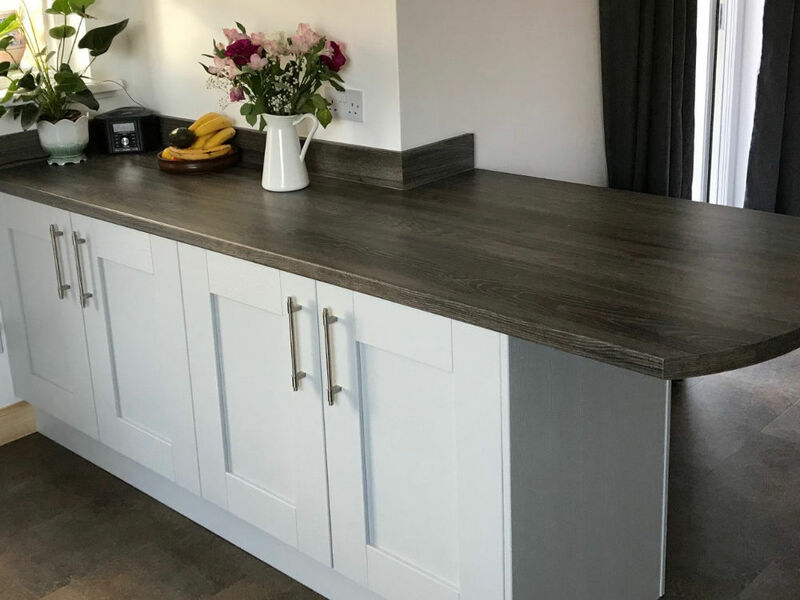 It was really refreshing to work with you and Craig and your suggestions to give us what we wanted within budget were great and you accommodated all our requests too. 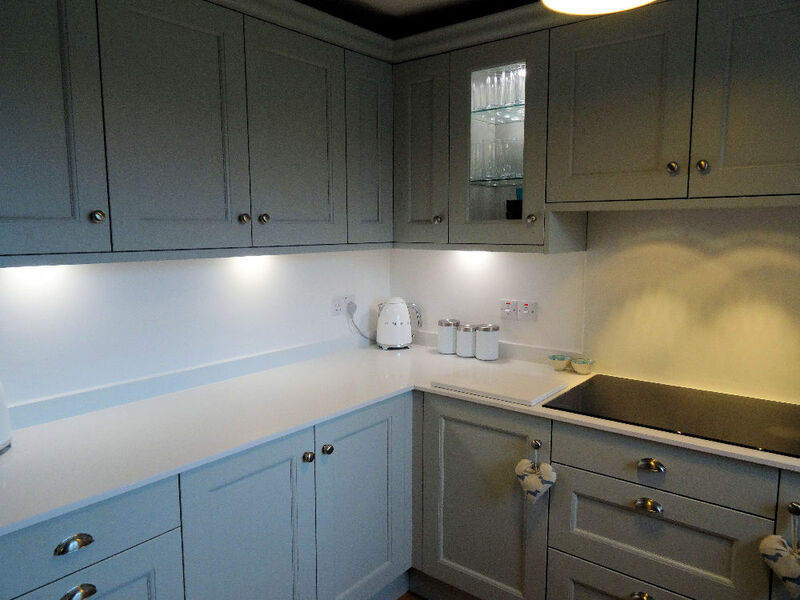 I had looked at other companies that were supply only and the costs were comparable with yourselves but then I would have had to pay for installation as well but I don't think would have got this look. 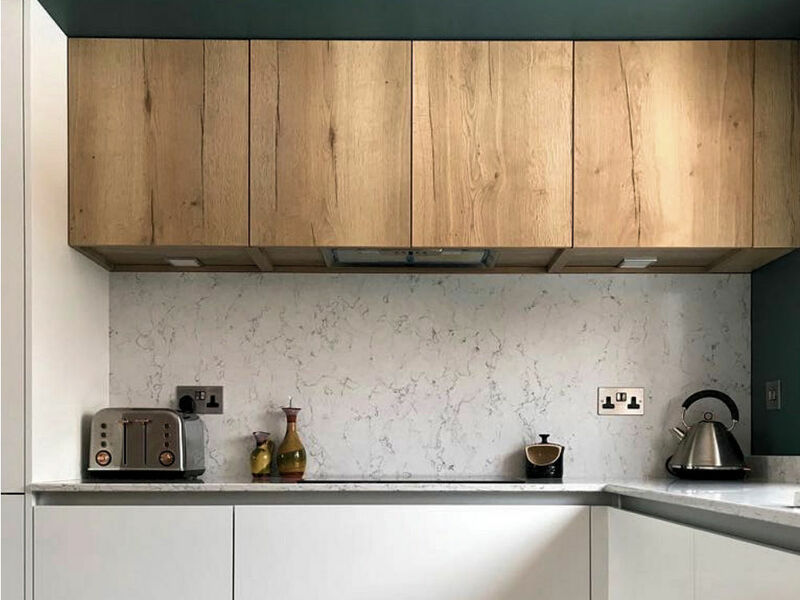 It really feels like a bespoke kitchen and not at all the same as everyone else's. 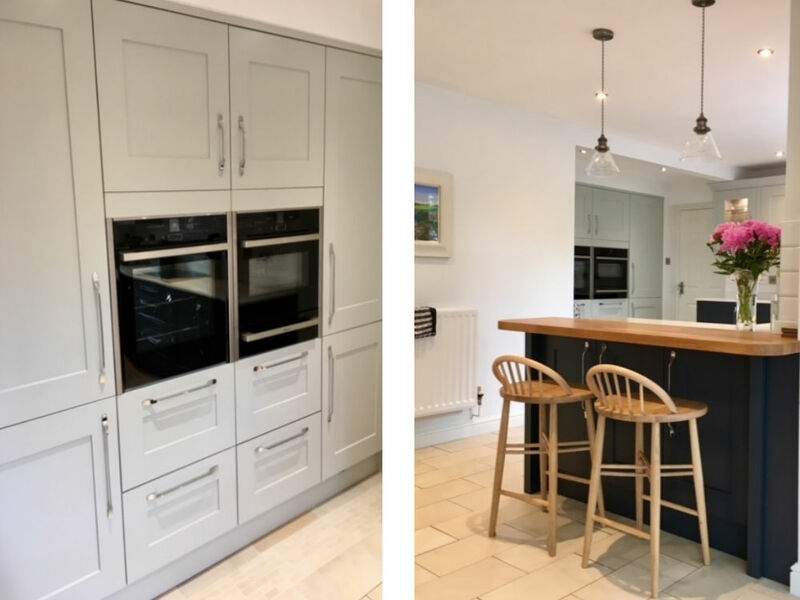 Thanks again for everything Paula has been real pleasure meeting you both - I have already recommended you to a couple of my friends who may be looking for new kitchen and will continue to do so . 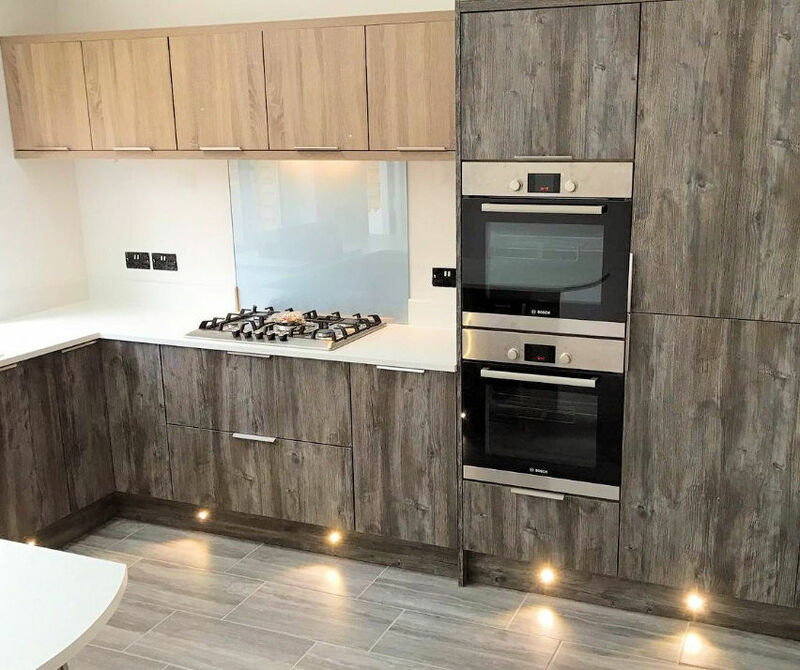 I was initially worried that Hi-Line Kitchens might not have as big a range of kitchens and design styles as some of the larger companies with big shop displays. But Paula was able to understand what it was we wanted and then show us the relevant samples. They actually had a huge selection and because they weren't tied to one supplier was able to give us far more options. 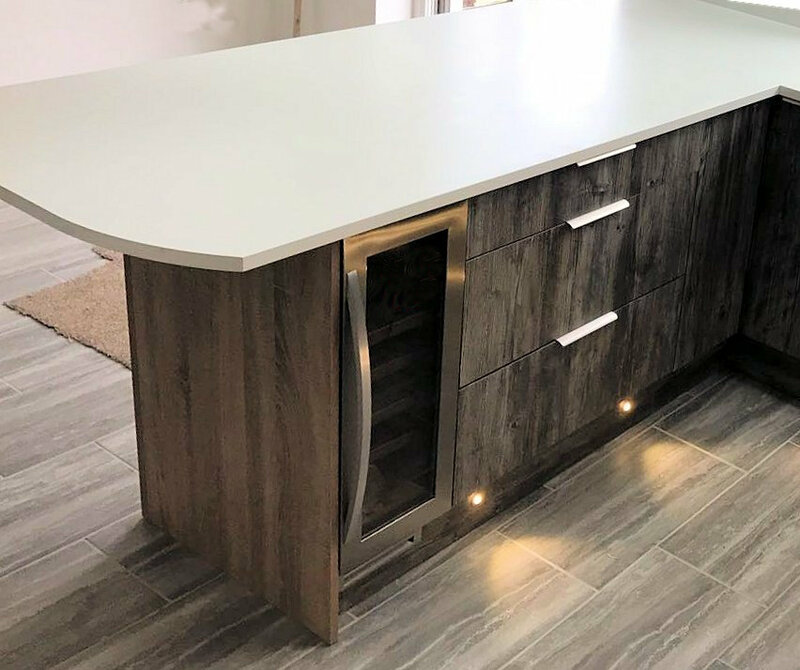 Something other kitchen supply companies were unable to do. 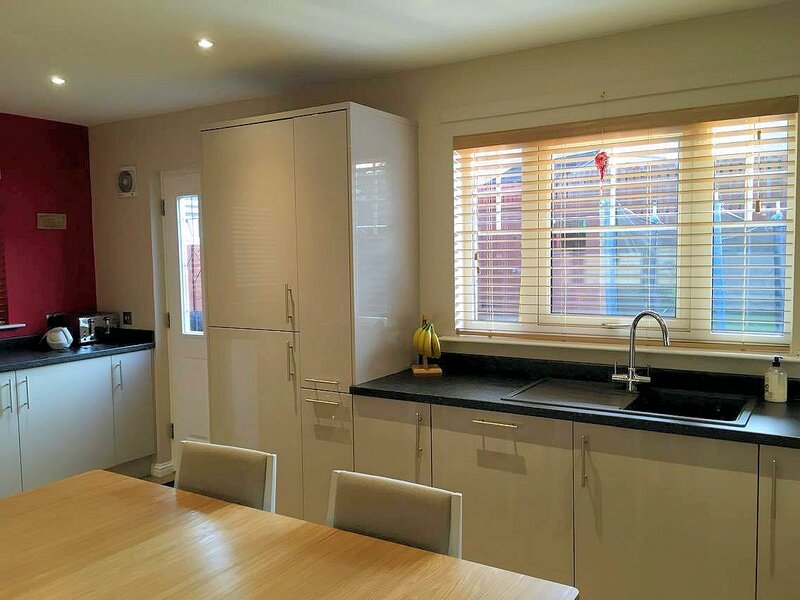 As a result we got the exact kitchen we had in mind for a fraction of the cost. 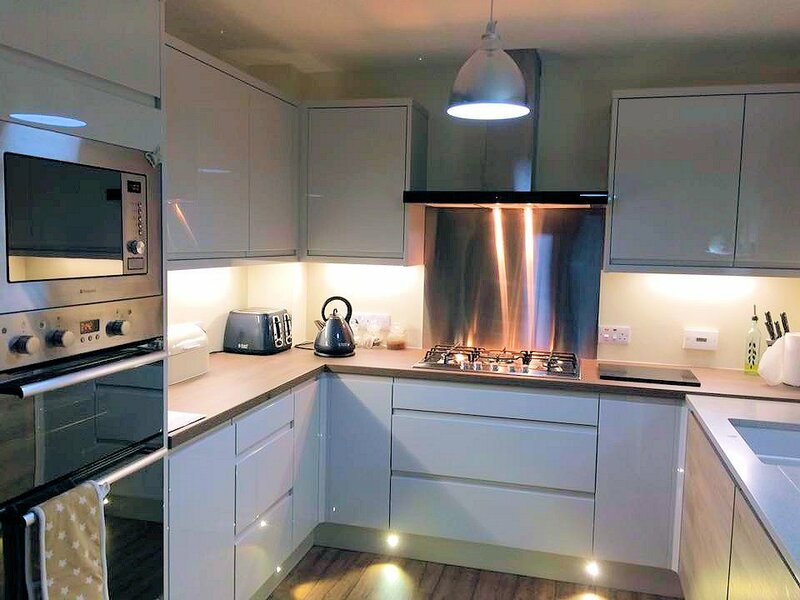 No, Hi-Line wasn't the cheapest supplier, but we didn't want a cheap looking kitchen and they were by no means the most expensive. 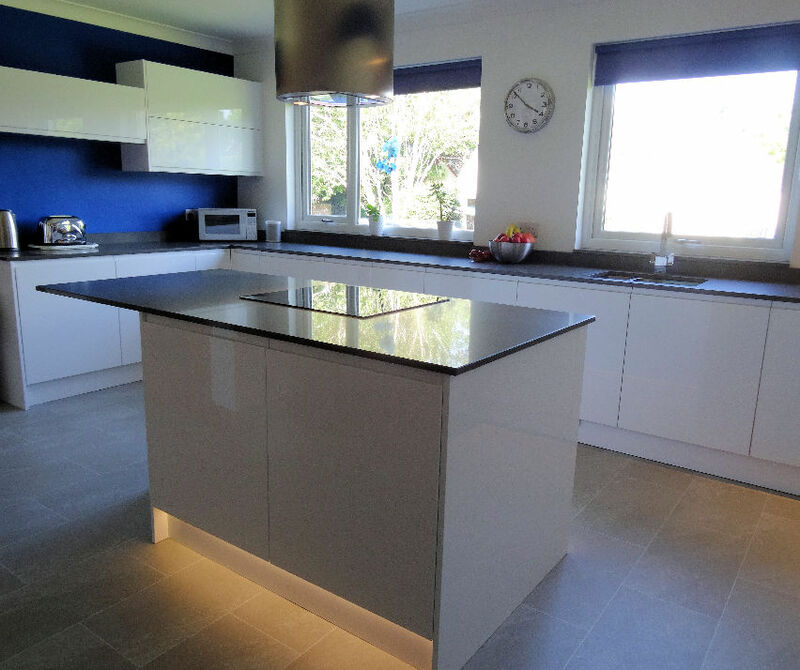 And because they are a small, local business, we got highly individualised attention at every stage of design to installation. 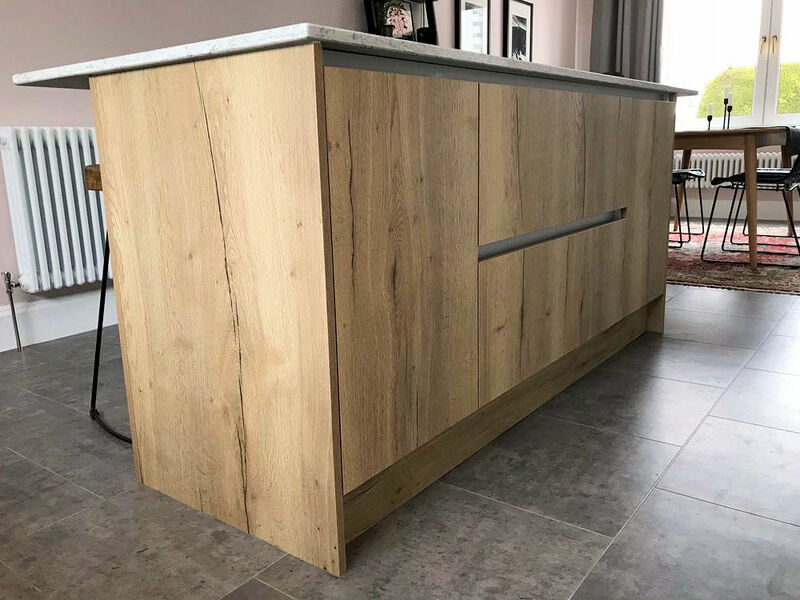 Craig is one of the best joiners/kitchen fitters we have come across, able to offer some bespoke installation work that no one else could have provided that really did just finish the kitchen off perfectly in a corner that was extremely awkward. 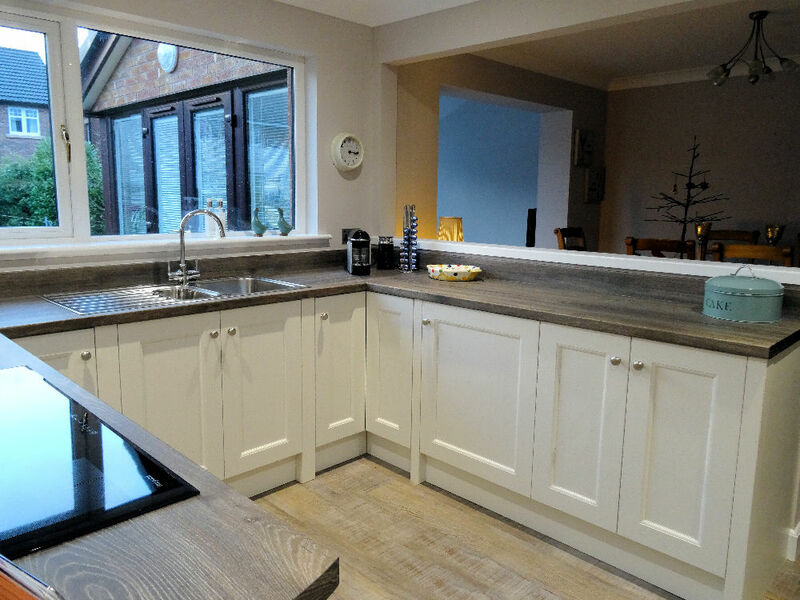 If you are thinking about a new Kitchen I can't fault these guys. I genuinely wouldn't go anywhere else. 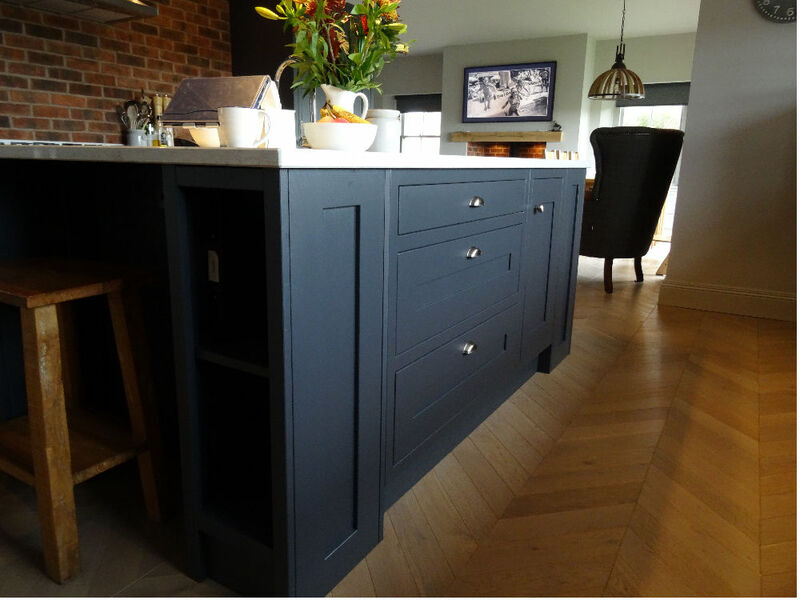 Don't let the lack of a fancy, expensive showroom put you off, because you get better quality of service and product with Hi-Line. I would like to thank you for your excellent service. 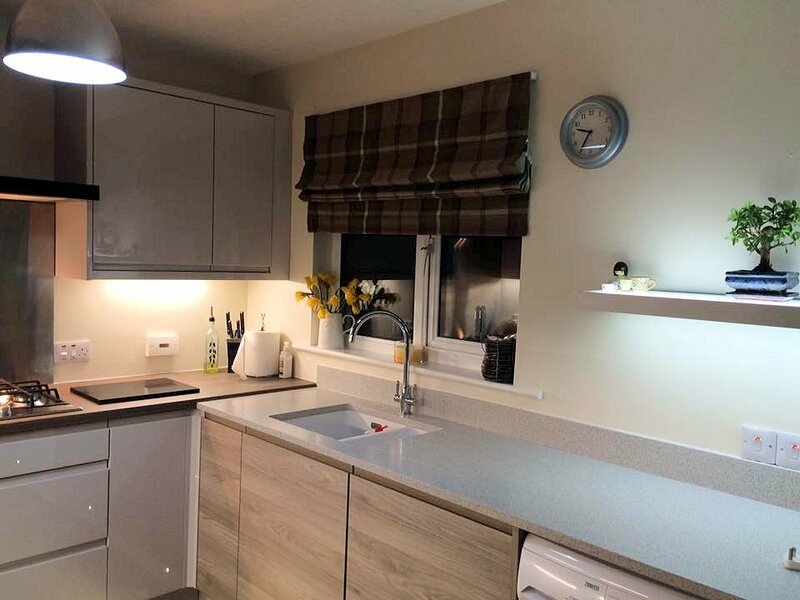 I had seen your advert in D&G Life and liked the look of the kitchens you had completed. 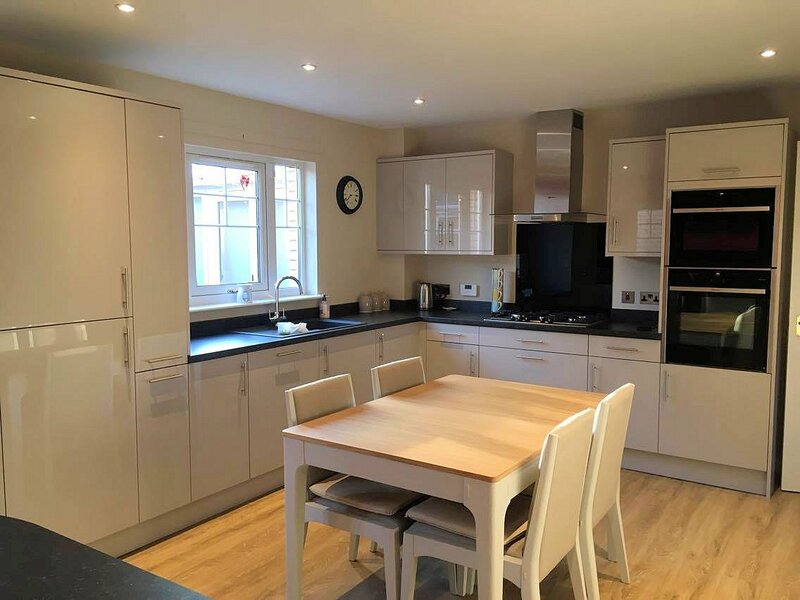 The main reason I chose you was the fact that you would organise and co-ordinate all the other tradesmen, from the architect, who produced the plans for the removal of a load bearing wall, to the electrician and plumber etc. When we eventually got our Building Warrant all ran very smoothly. Craig always kept me informed of which tradesmen to expect each day and would phone if something changed. I was very impressed with Craig’s little extras! 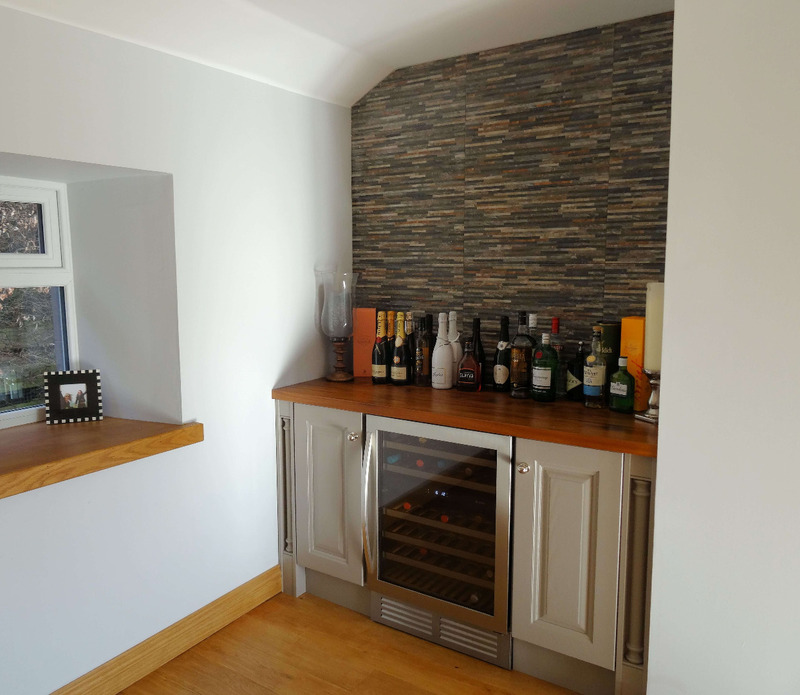 He spent an afternoon outside, building a wine rack for the dining area and went to great lengths to find a solution to hiding the boiler and pipes in the utility room. His attention to detail is second to none! Thank you once again for everything. 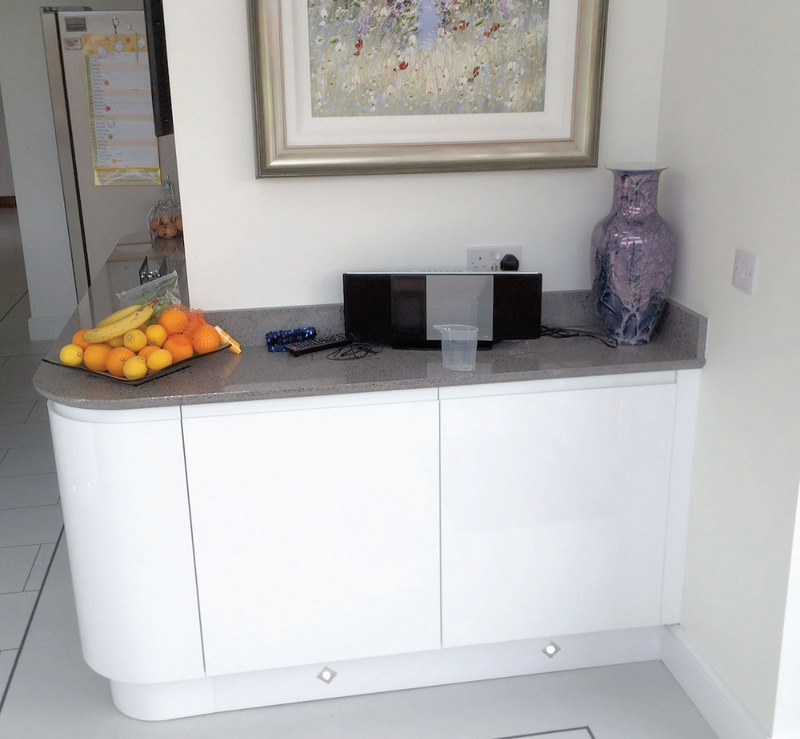 I would have no hesitation in recommending Hi- Line kitchens to any potential customers. It was a pleasure dealing with you both, professional and friendly from beginning to end. 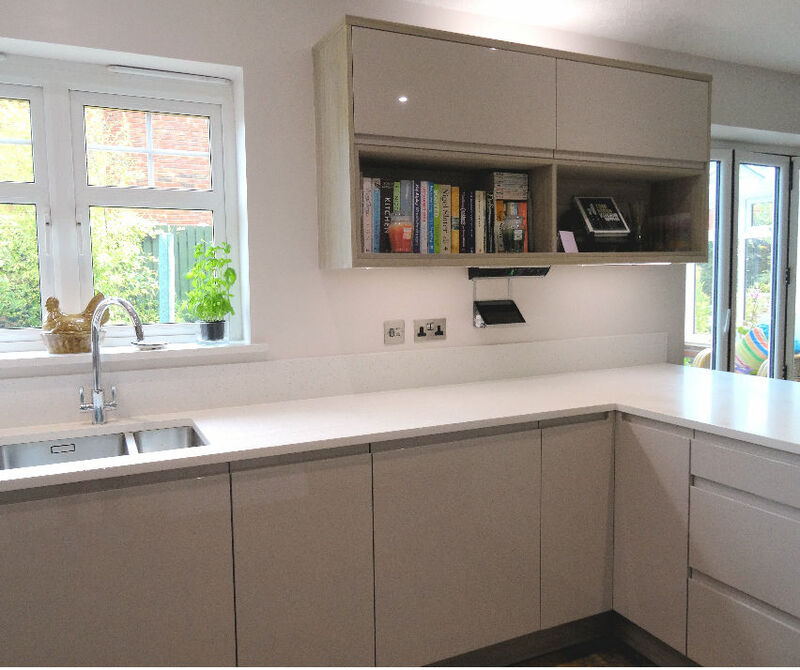 The service that Craig and Paula provided at Hi-Line Kitchens is excellent - through the whole process from design through to the final fitting. These are the clear benefits of dealing with a local, independent company. 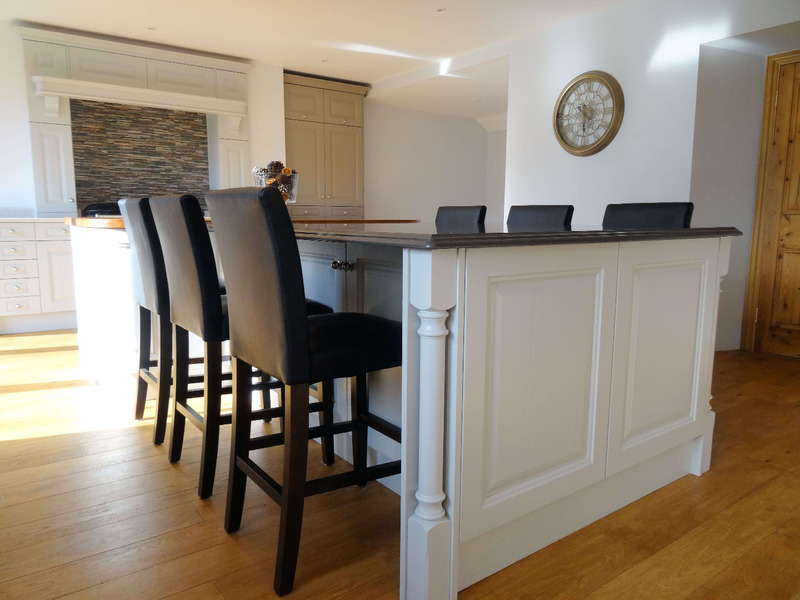 We're loving our new kitchen - it's fabulous and everyone that comes in admires it. 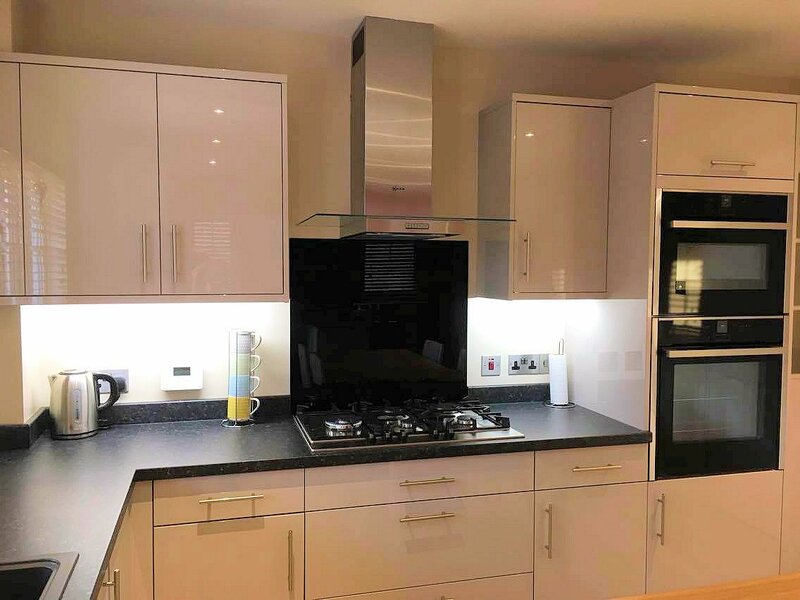 Great (local) company to work with, I'd highly recommend them to anyone changing their kitchen. 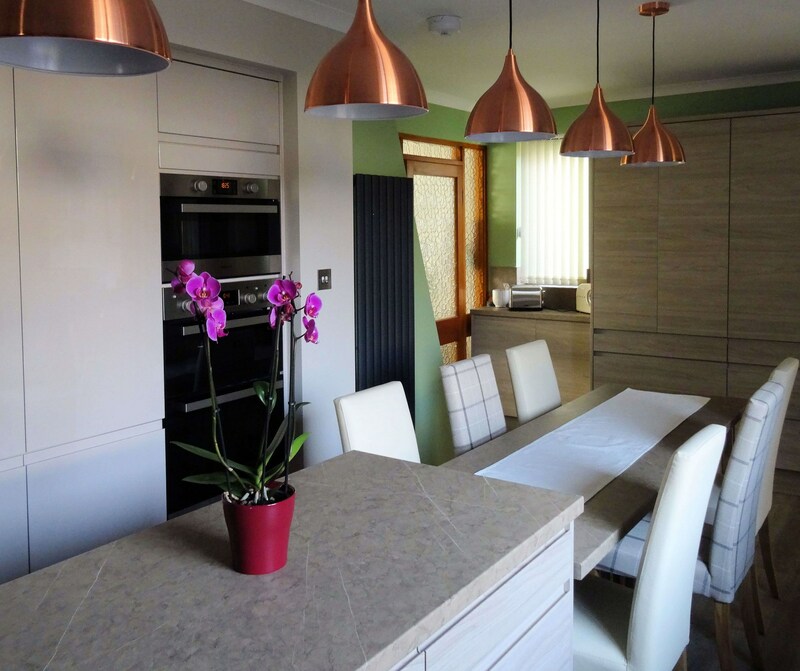 Our kitchen has been transformed from a once dark room to a bright and welcoming space the whole family enjoys. We spend our life in the kitchen. I love to cook and bake and love having people in the house, so the idea was to have a space for people to sit and chat while I cooked. What I loved about Craig when he came to see me was that he listened to me. I was very clear about things I didn’t want and he took that on board and ran with it. 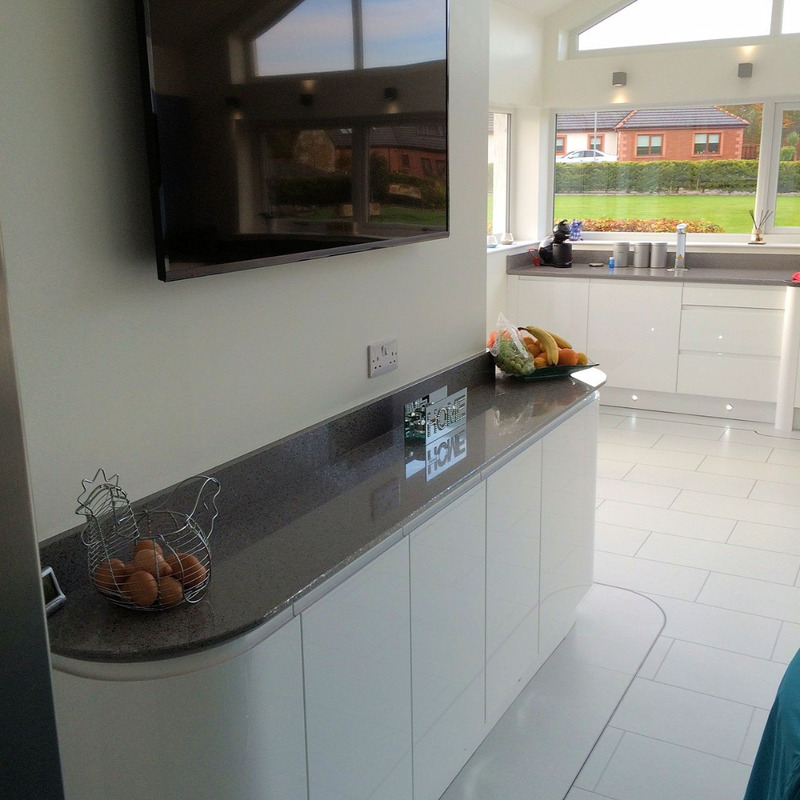 Craig and Paula had some lovely ideas and their attention to detail was second to none. 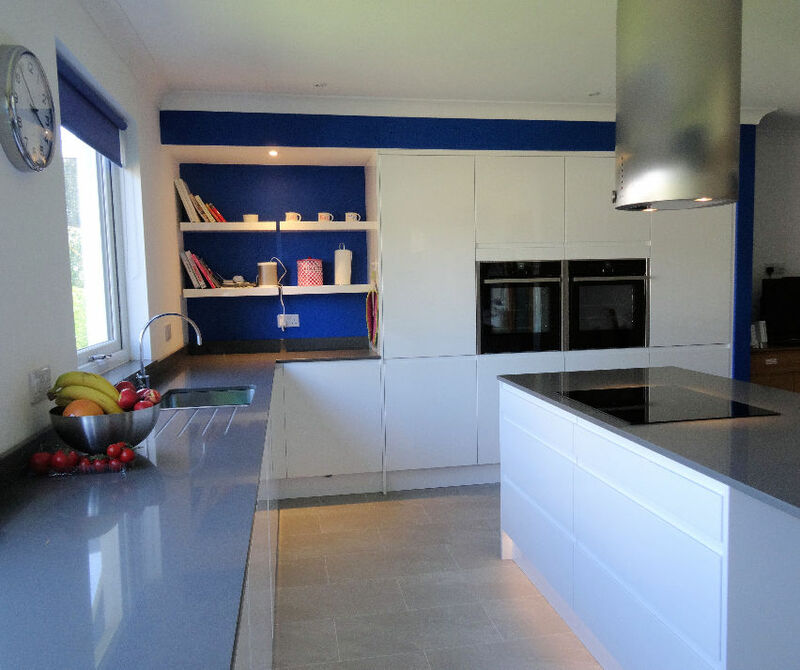 Highly recommend Craig and Paula at Hi-Line Kitchens. They listened to my kitchen vision and made it happen. 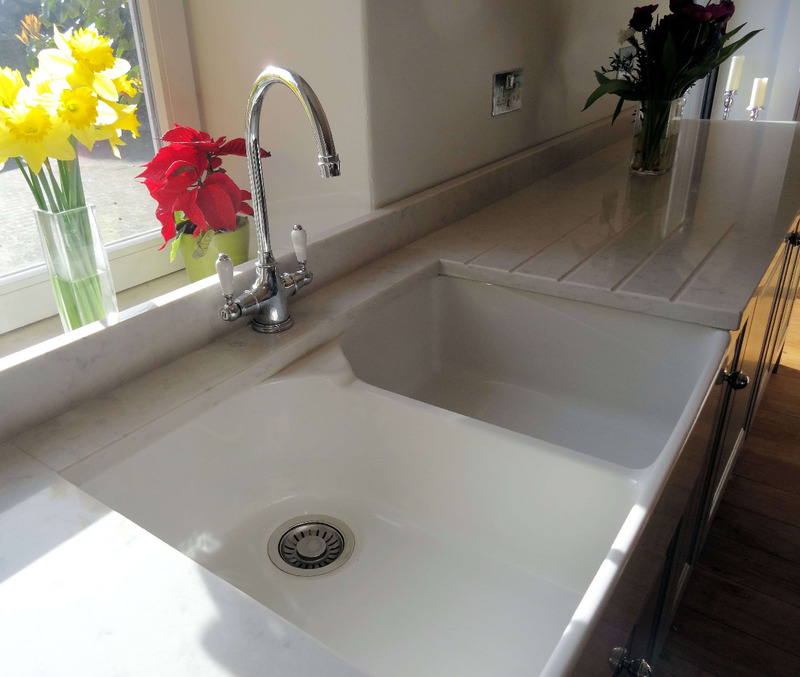 Any changes in design I had were accommodated effortlessly (and I had quite a few)! 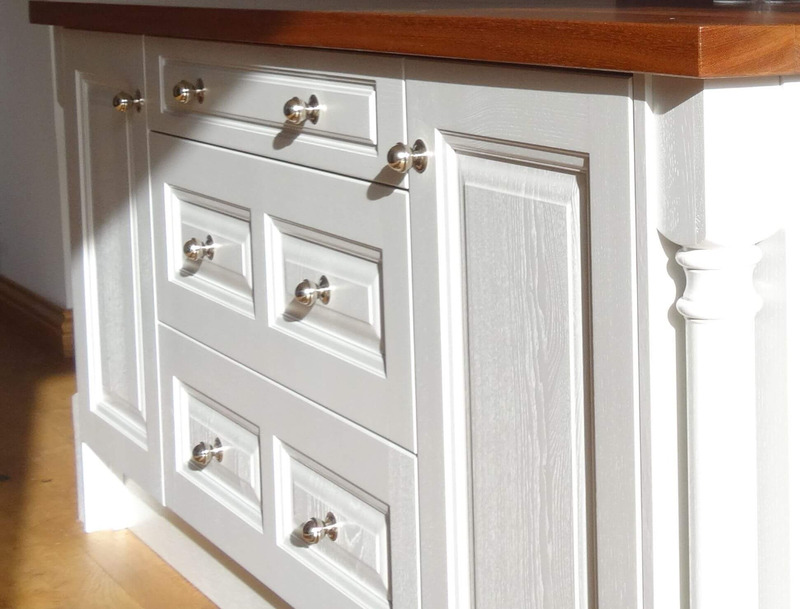 Professional, friendly and quality local company.